Faithless by Karin Slaughter – 3/5 – I picked this up at a book exchange last month and was excited to read another Karin Slaughter title because she is fast becoming one of my favourite authors. This was an okay book, nothing special in my opinion, and not the first thing I would recommend if you are going to read something by Karin Slaughter. My co-worker also accidentally spoiled a major plot point in the story arc of this series, so that put a bit of a dampener on things while I was reading. Mr Mercedes by Stephen King – 4/5 – I am turning into a massive fan of Stephen King. This is the… sixth (?) book of his that I have read, and it is one of my favourites so far. But come on, Stephen King taking on the crime genre? How could I not love this book. I love how detailed Stephen King’s books are, and this did not disappoint. His characters are always so richly developed, and Mr Mercedes was a satisfyingly creepy villain and a perfect match to Bill Hodges our protagonist. This is part one in a trilogy and I can guarantee that I’ll be reading the next two books in this series at some point next year. The Good Daughter by Karin Slaughter – 4/5 – I became an instant fan of Karin Slaughter after reading Pretty Girls last year, so when I saw she had a new release coming out in 2017 I was really excited to pick it up. I managed to snag the first reserve at my local library, and it was number one on my list of books to read in September. I’m happy to say that even though my expectations were extremely high, I was not let down. I don’t like to go into too much detail when it comes to thrillers, but after reading this I’m confident in saying Karin Slaughter is one of my favourite authors. The Leaving by Tara Altebrando – 2/5 – I bought this book last year with the intent of it being one of my summer reads for 2016. That never happened, so I picked it this month to try and get it off my TBR shelf. I didn’t really connect with any of the characters, which was an important factor that I think would have made this book more interesting for me. The book is written from the perspective of a handful of characters, and the writing style used for one in particular really irritated me. This was a bit of a nothing book for me, it wasn’t particularly memorable and I wouldn’t recommend it. 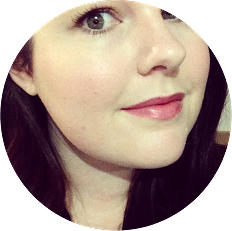 Nothing by Annie Barrows – 3/5 – This was my kindle/Netgalley read for the month, and I went into it expecting a bit of lighthearted contemporary fun. Which is exactly what I got, so I was happy about that. Thinking back on this book, nothing really happens, and there is no sort of lesson or ‘point’ to the story, but I liked that about it. It was nice to dip into the mind of a teenager for a short while. Do Not Become Alarmed by Maile Meloy – 3/5 – This was a Netgally ARC, and the first book I read in August. This was a decent thriller, but thinking back on it now I have to admit it wasn’t exactly memorable. I can barely remember what happened in the story (besides the part where the families were on a cruise ship – which was minimal), but it was a quick read and it was enjoyable enough at the time. The Hatching by Ezekiel Boone – 4/5 – I bought this book last year with the intent of reading it for Spookathon, but I never got around to it and to be honest I hadn’t really been interested in reading it until now. I went into it (mostly) blind, and was pleasantly surprised by how much I enjoyed the story. If you’re not afraid of spiders and are in the mood for something fast-paced and a bit spooky, this is worth checking out. He Said She Said by Erin Kelly – 4/5 – This was my library book for the month, and although I enjoyed it I’ll admit that it took me a couple of goes to get into the story. Once I was able to get into the story and connect with the characters I couldn’t put it down. This was a great thriller, and did a good job of keeping me guessing until the end. The Fever by Megan Abbott – 3/5 – This was my audiobook for the month, and like the previous book this took me a few tries to get into. The first half of the book felt completely different to the second, and not in a good way. The cover sucked me in, what can I say. 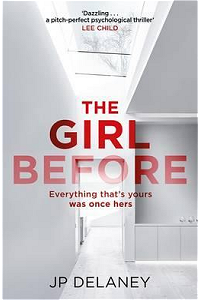 Book: The Girl Before by J.P. Delaney – audible audiobook edition, 10 hours & five minutes. Synopsis: Enter the world of One Folgate Street and discover perfection… but can you pay the price? My thoughts: I’m a sucker for a good domestic thriller so when I saw this book recommended by a handful of people, I decided to pick it up and see what it was about. I got the audiobook (mostly because I have a handful of Audible credits that I need to use), and I was excited to see how it would play out in this format. Unfortunately, I think listening to the audio book rather than reading it myself was a big part of what let this down for me. The concept is interesting enough, but I feel like there is a strong need for suspension of disbelief throughout the story. I can’t imagine anyone in their right mind signing up for the scenario these women place themselves in, but maybe that’s just me. The book moves back and forth between the story of two women, Jane who is currently residing in the house, and Emma, the ‘girl before’. I’ve mentioned before that I struggle with stories that move between character perspective, and listening to audio that used similar voices for the two main characters was difficult for me. I had to stop listening to the book half-way through and start again just so I could follow the story properly. I found nearly all of the characters unlikeable, even the ones we as the reader are supposed to sympathise with. I couldn’t help but picture Mr. Schue from Glee when the women were describing the ‘enigmatic architect’ throughout the book, which became very distracting and I found it hard to find this character attractive in any way. There were a couple of twists and turns throughout the story that did keep things interesting, but the ending was ultimately unsatisfying for me. If you are going to pick this up I would recommend picking up the hard copy of the book rather than the audio book. Book: Fearless by Fiona Higgins – paperback edition, 392 pages. My thoughts: I made a rookie mistake, because the thing that drew me into this book was the cover. Of course, we all know by now that we should never judge a book by its cover but this one is absolutely beautiful and I couldn’t resist it. Unfortunately (of course), the book did not live up to the cover, and to be honest I didn’t like it at all. I bought this ages ago, and had intended to pick it up quite a few times but then my partner surprised me with tickets to Bali for Valentine’s day and I didn’t think reading a book about a “horrific event” happening there was such a good idea until after we had returned safely. 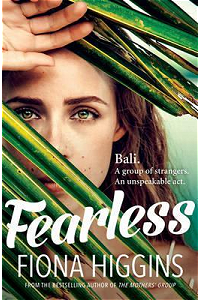 The author has a very different vision of the Bali that I am used to, so although I was absolutely in the mood to be transported back to that setting it felt quite disjointed the reality of the place for me. The first half of this book was spent introducing a group of characters that I couldn’t possibly have cared less about. I found them all incredibly grating and poorly developed. I think the story would have played out better and had more depth to it if it had revolved around one central character instead of scattered between the group. There was also an extremely weak love story tangled up in the plot that made me roll my eyes on more than one occasion. Also, the author making a character who admits to thoughts of paedophelia something of a martyr in the book did not sit well with me at all. There wasn’t a lot of build up to the “event” which meant that it didn’t really feel particularly shocking to me when it happened. I feel like the reason for the attack, and the aftermath should have been fleshed out a lot more to make the story feel more balanced. All in all I found this book incredibly disappointing, and I don’t recommend picking it up.